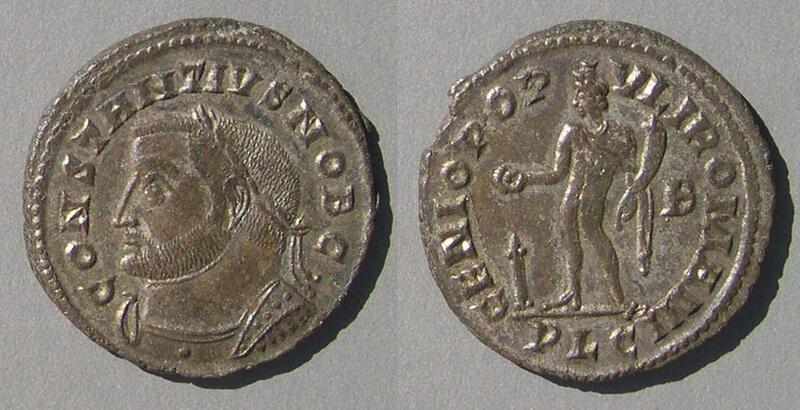 Caesar of the first tetrarchy of the Roman Empire (293-305) and Augustus 305-306. 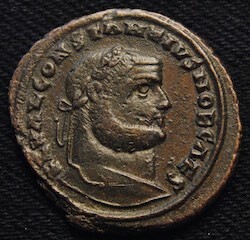 RIC London 20 "c. 300-302"
RIC Lyons 166a "c. 301-302"
RIC Lyons 144a "c. 301-303"
RIC Ticinum 35a "c. 298-299"
RIC Rome 66a "c. 296-297"
RIC Rome 67a "c. 296-297"
RIC Serdica 4a "c. 303-304-5"
RIC Antioch 59a "c. 304-305"
RIC Alexandria 33a "c. 301"
Note the curls in his beard. 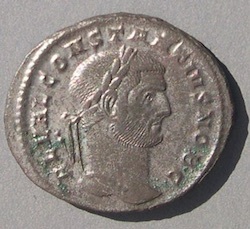 Curls only appear on coins of eastern mints. 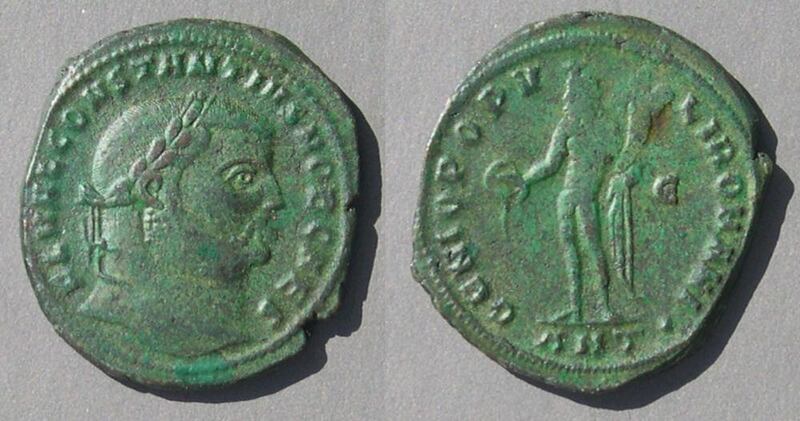 RIC Alexandria 35a "c. 302-303"
Go to the next page on folles of Galerius. 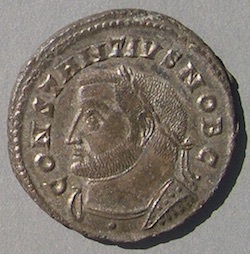 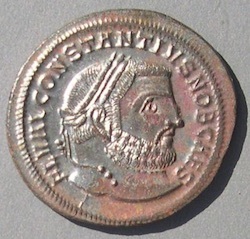 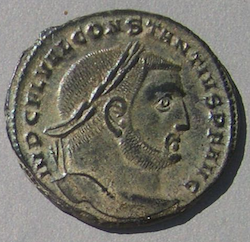 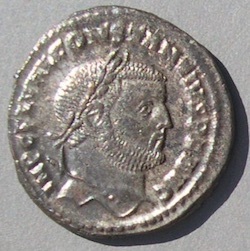 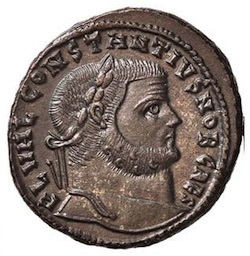 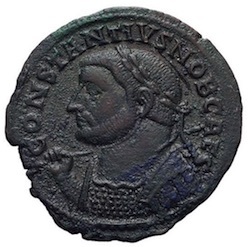 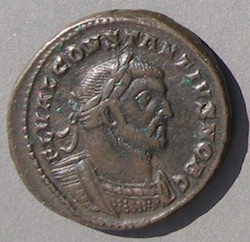 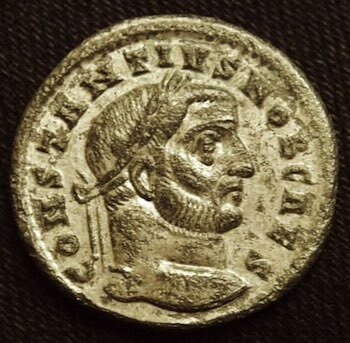 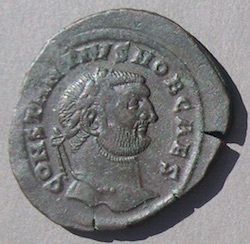 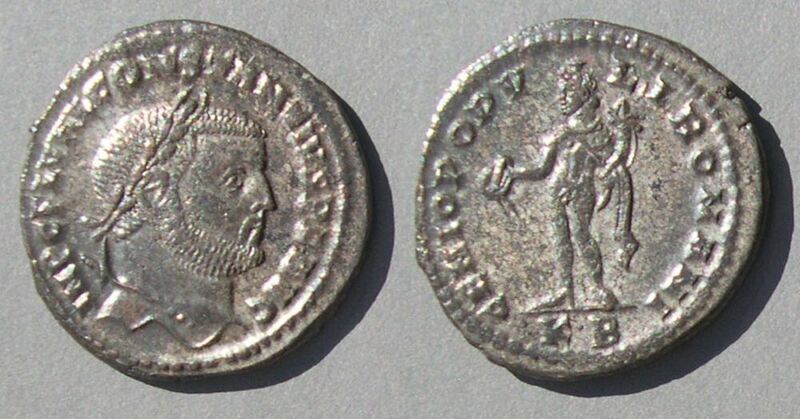 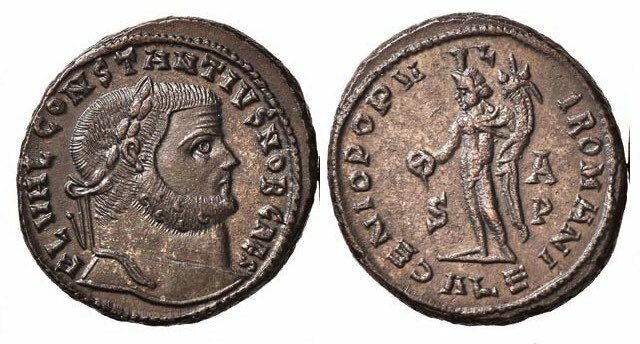 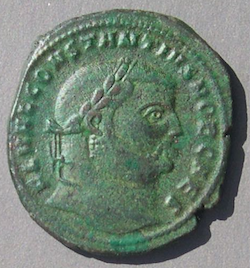 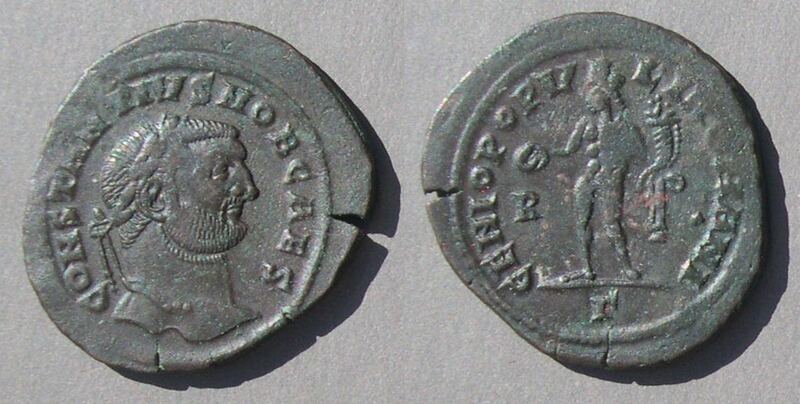 Go to the page of folles of Diocletian, Maximian, Galerius, or other rulers.